You can find global product page options in WooCommerce – Product Page Options section of 5th Avenue option panel. Here you can show/hide every element on product page including tabs. Move Reviews out of the tabs and show them after the extended content. Enable zoom and fullscreen lightbox with big images. Enable / disable arrows, social icons and so on. 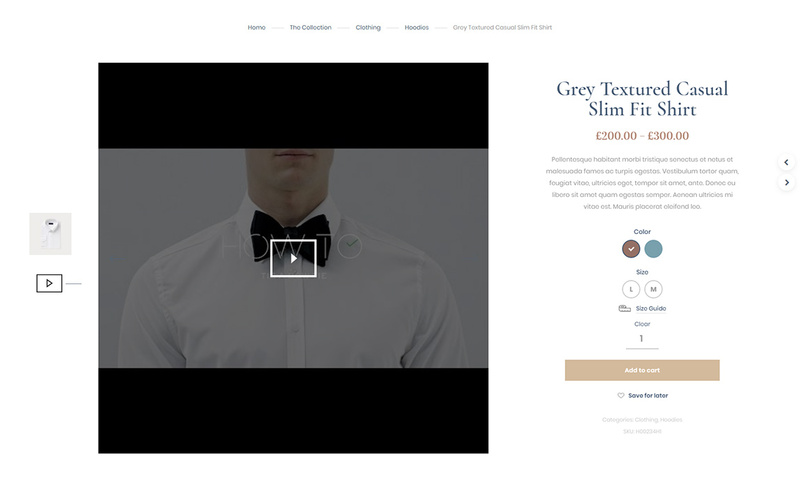 You can choose from different product page layouts and alignment options. You can align product description vertically and horizontal. Also you can choose buttons layout in one line or each element from new line. You can add sticky bar at the bottom of the page that will appear if the main add to cart button is not visible. This option useful for product pages with long content. See example here. To enable sticky add to cart yo need to set Show bottom bar to yes in WooCommerce – Product Page Options section of 5th Avenue option panel. 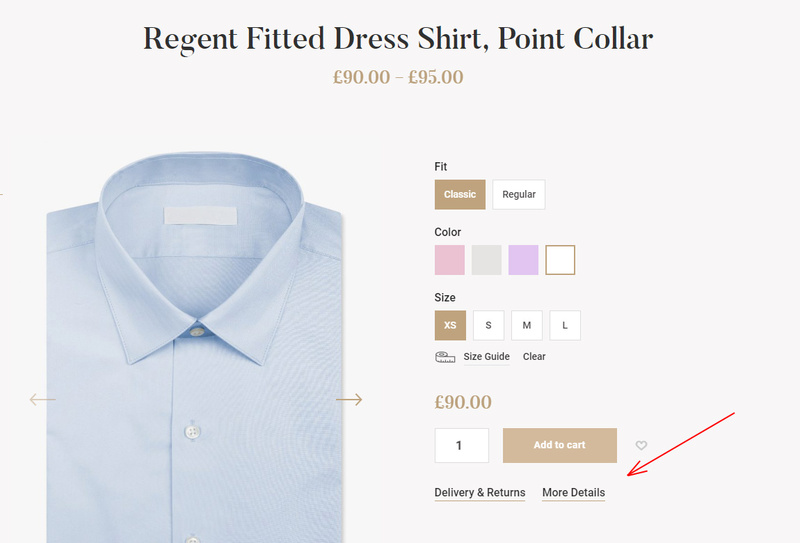 You can find additional options below the main content area when you edit product page. 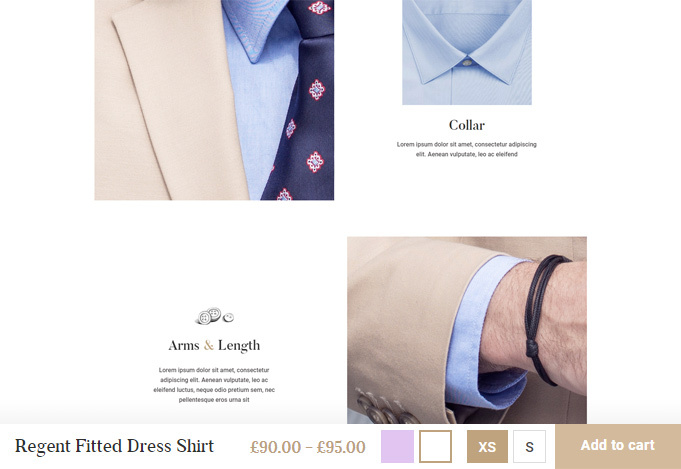 Additional text on shop page – allows you to add text below the product name on grid. Use it to describe some product specific info, for example you can let customers know that there is a discount if you buy two of this products. Page general settings are described here. 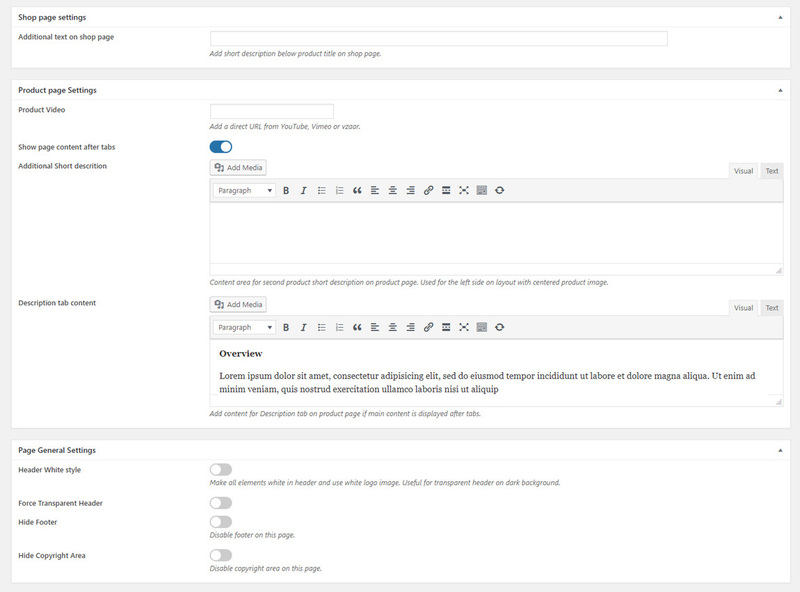 Show page content after tabs – allows you to create extended content for product page. If you enable this option it will output content from main content textarea just after the tabs. See example here. In this case description tab content will be used from Description tab content textarea. Product Video – you add YouTube video URL in this field and it will be added to product carousel on product page. See example below. You can create any amount of links just below the Add to cart button that will open full screen modal windows with your custom content. You can use it to add additional description, shipping and returns information, size guide and so on. Label is the link text that you can see on website. Slug is a link to your popup window and want be visible to users, do not use special character or spaces. You can add any content including shortcodes in textarea. Example of opened modal window with additional description. You can add size guide link below any product attribute. It will open full screen modal window with your custom content. 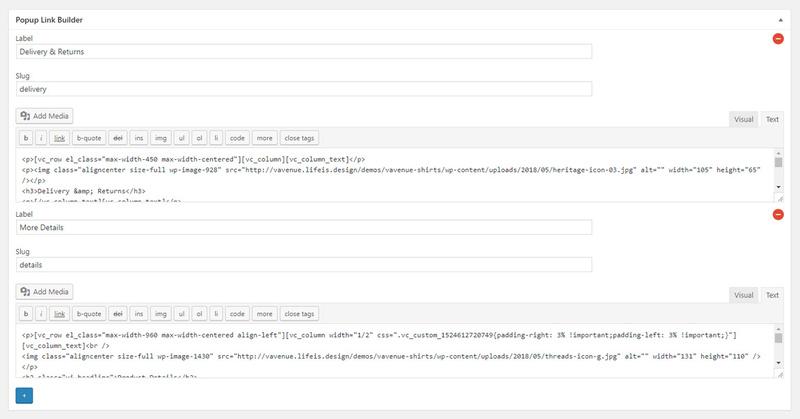 You can create different size guide links for different attributes i.e. size guide for dresses and for shoes with different content. 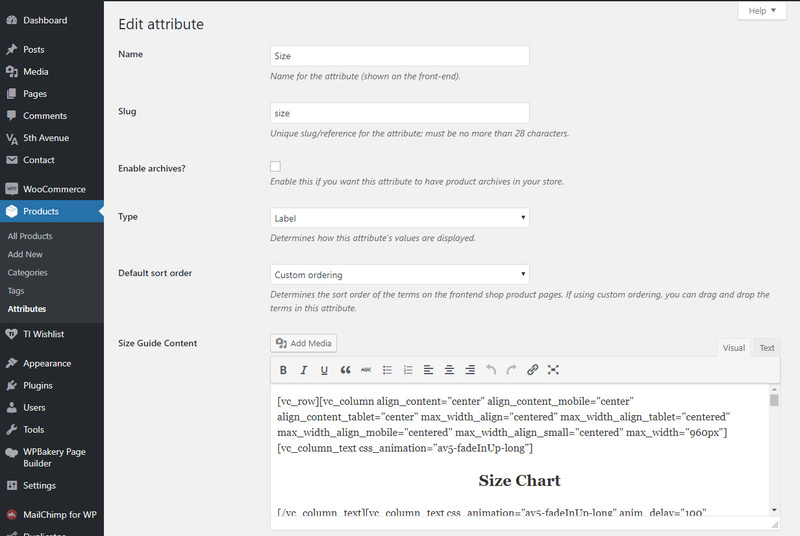 To add size guide link navigate to Products – Attributes. Create or click edit existing attribute. You will see Size guide content textarea. Simply add your content there. You can use shortcodes.